I have seen it in the ASUS Philippines Facebook page and also at Techie.com.ph and well I will say that I am impressed with the new gadgets that are being revealed bit by bit by ASUS. 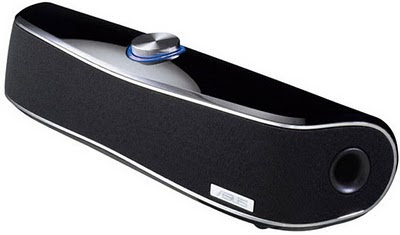 This sound system is very light and micro but it is also very powerful. The ASUS Cine5 is a legitimate 5.1 channel surround speaker system that is probably one of the smallest and most compact in the world. According to Techie, "it uses cleaver acoustic tricks by bouncing audio in specific parts of a room." It is something that is complicated and yet for the ASUS Cine5 it is very easy to do. This surround speaker system is ideal for your laptop and also for indoor equipment. Practically all players can connect to the ASUS Cine5. Music players and laptops can connect through a provided wire while for DVD players you need to buy an RCA cord. The ASUS Cine5 looks good and cool although the review at Techie says that it has problems with its bass, it might be negligible since most of us just want to enjoy songs and probably use this one on the go. You can read a first hand review of the ASUS Cine5 at Techie.com.ph.